Very easy check in. Beautiful room and amenities. Very private including private dining area. Stunning pool and ocean views. The pool is the highlight! Staff friendly and helpful. The hotel is amazing! the only down side is that it fits more for couples and not with kids. 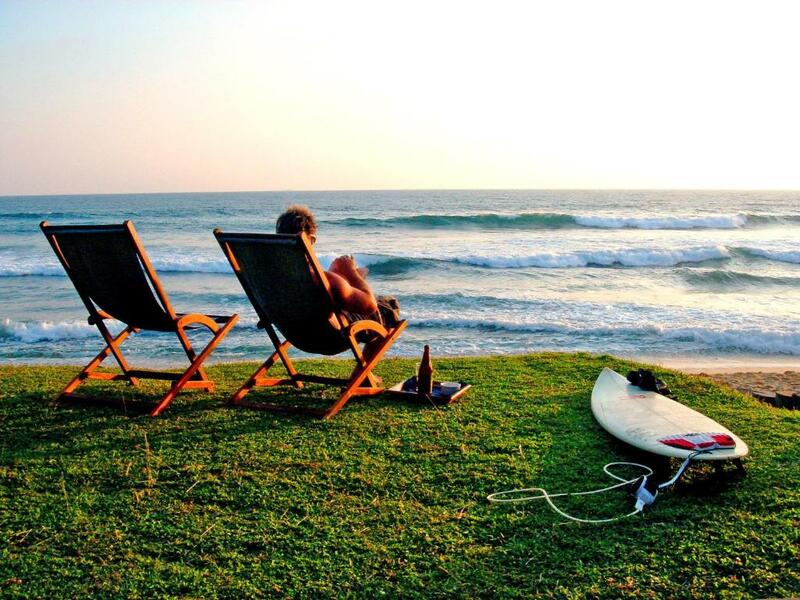 If you looking to surf in the beach, it is not possible. I have mentioned it while stay there. Fabulous property. Huge rooms and bathroom. Gorgeous pool and outdoor area. Very private. Affordable food and wine at the property. Basic breakfast but tasty. Even got massages at the property. The service at the villa was fantastic, and the food was great. We were able to eat all our meals outside on the patio of our villa. An ideal place to spend our honeymoon! The overall feel of the Villa and grounds were so relaxing and welcoming. It really felt like your own lil nook and space to relax. Great location by the beach, excellent pool area, rooms were a high standard. Absolutely everything. It’s an amazing hotel with the best service and the best atmosphere! With a beautiful colonial design, this hotel is a cool oasis in the hot days. 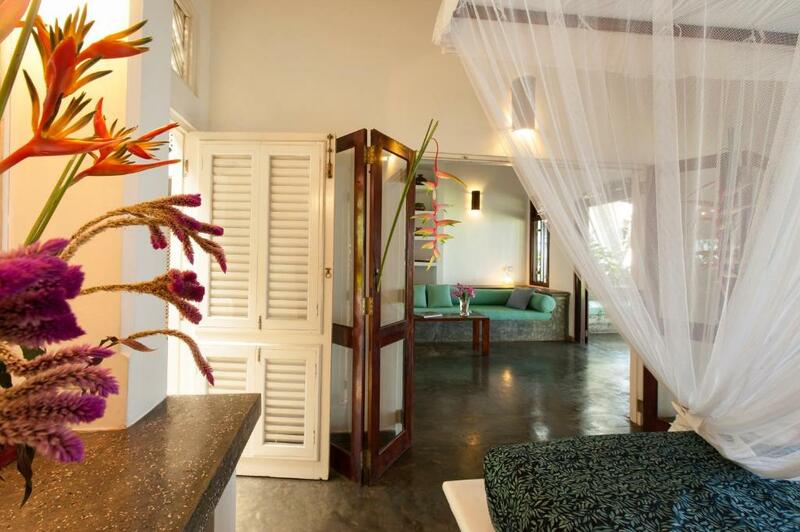 Rooms are big and chilly, have a beautiful natural light and faces a beautiful neat tropical garden. The garden view is just beautiful and comes with a great infinity pool. Every room has a trace with a private table and a private butler. Food and drinks are very good. The beach is serene and perfect for walks although the swimming is not possible. Just a short distance to Galle Fortress Port and easy to take a bus right from the street. Amazing. Felt like the only guest at the hotel, you don’t have a restaurant - you have your own butler bringing you food to your own patio... epic. Lock in a great price for Apa Villa Thalpe – rated 9.1 by recent guests! Apa Villa Thalpe This rating is a reflection of how the property compares to the industry standard when it comes to price, facilities and services available. It's based on a self-evaluation by the property. Use this rating to help choose your stay! 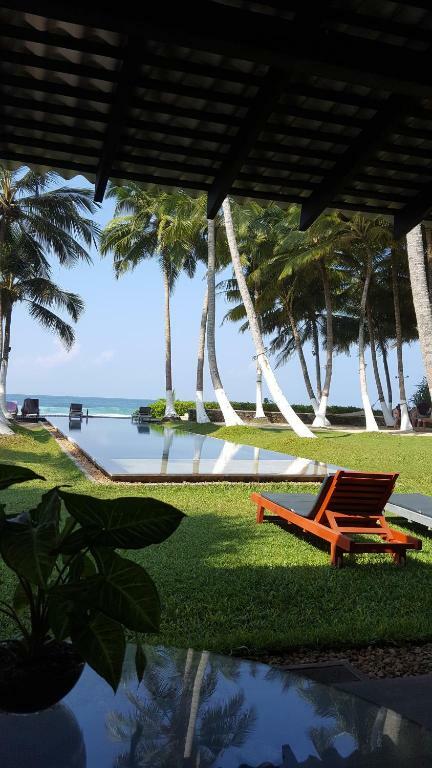 One of our top picks in Unawatuna.Apa Villa offers a peaceful retreat in Galle, featuring spacious suites that overlook the tropical gardens. This property has an outdoor swimming pool, bar and provides free Wi-Fi. Tastefully decorated, rooms come with modern interiors and warm lighting. 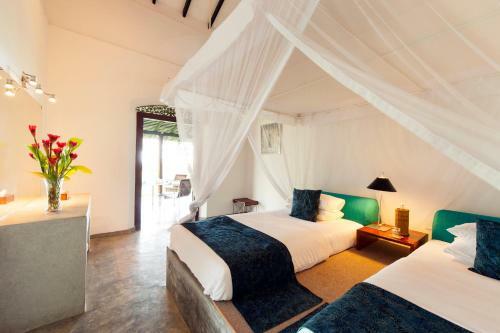 All are fitted with a mosquito net and a private bathroom with shower facilities. The resort offers Western and local seafood dishes for room service. Available for all-day dining, the bar serves light snacks and refreshing beverages. With a 24-hour front desk, staff can assist with currency exchange services. Car rental and sightseeing bookings can be made at the on-site tour desk. 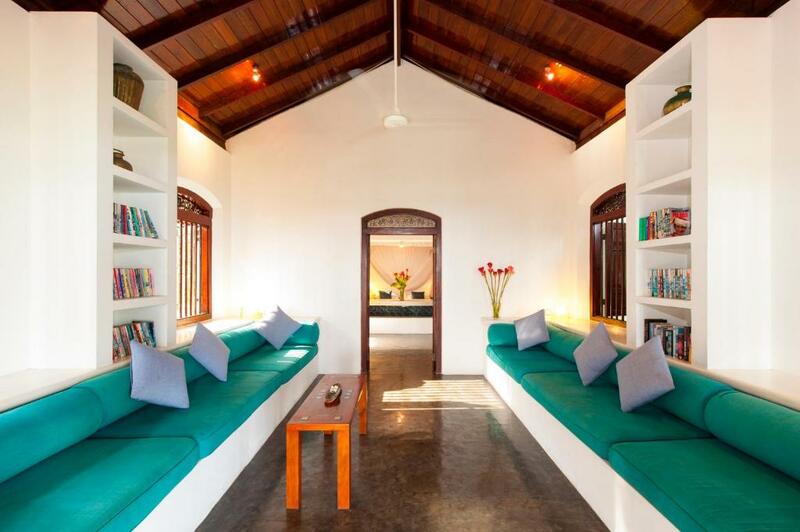 Villa Apa is 9.3 mi from the historic Galle Fortress Port, a UNESCO-listed site. It is a 5-minute walk from Thalpe Bus Station and 6.2 mi from Galle’s city center. When would you like to stay at Apa Villa Thalpe? 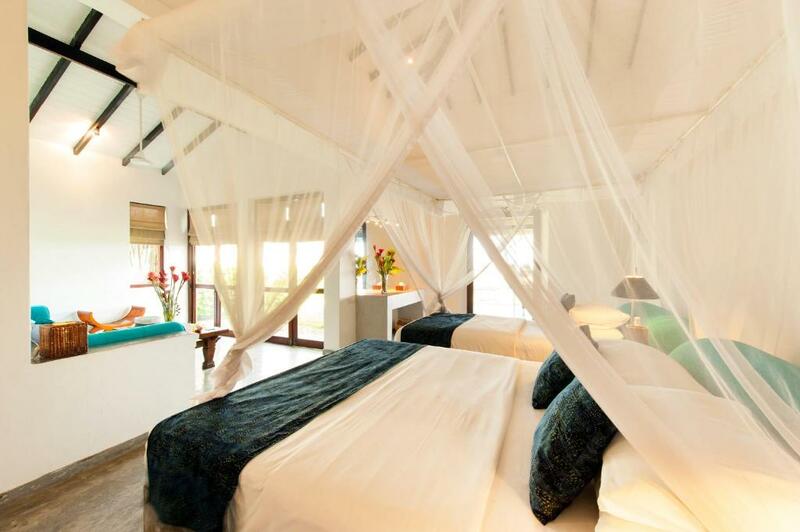 Offering views of the greenery, this air-conditioned suite offers a mosquito net and an attached bathroom with a shower. Room comes with modern interiors and warm lighting. It is fitted with a mosquito net and a private bathroom with shower facilities. Spacious air-conditioned suite features a larger bed and an private bathroom. This suite has a mini-bar, electric kettle and satellite TV. Apa Villa Thalpe is simply stunning. 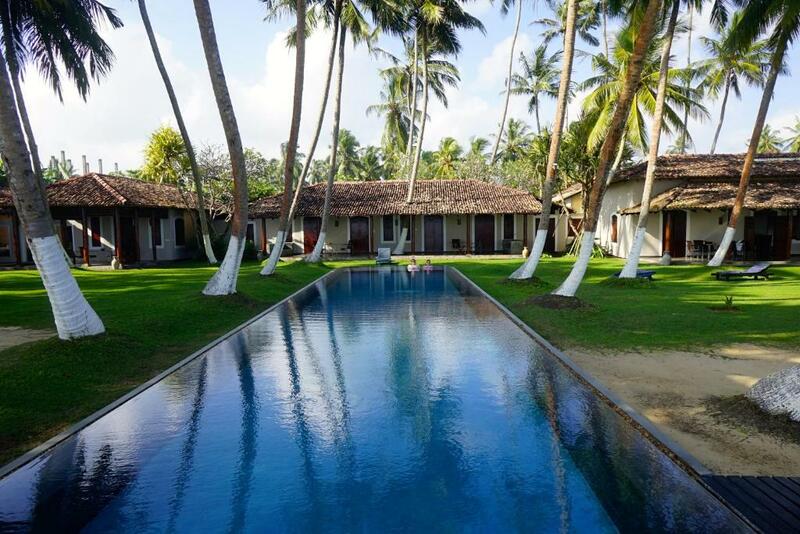 Just 8km east of Sri Lanka's historic UNESCO-listed fortress port of Galle, Apa Thalpe is at once elegant, discreet and a retreat by some of the world's most gorgeous beaches. Three distinctive villas house seven sumptuous suites, where the mood is stylish and leisurely as you ease into swimwear or a sarong to enjoy the seaside garden, our superb cuisine and our famous infinity pool by the Indian Ocean. 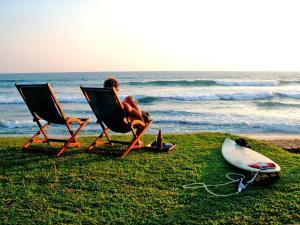 Apa Thalpe evokes a gentler time, a tropical time of sun or monsoon rains, surf and splendid sunsets. 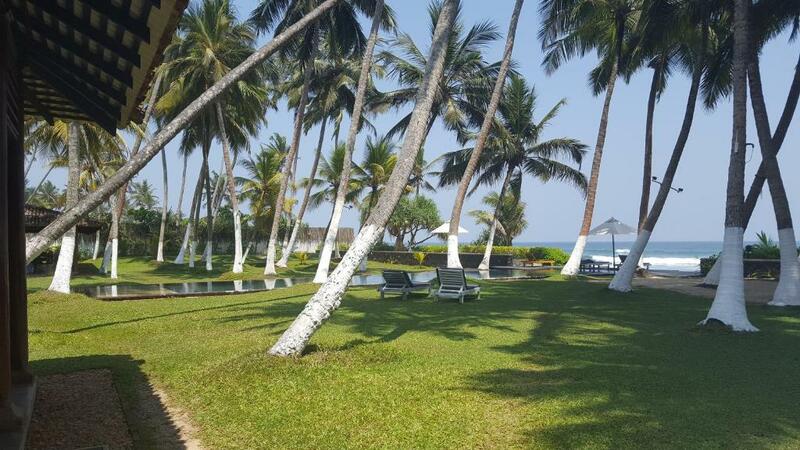 We are near Unawatuna beach which is a well famous beach for sun bathing & near by ocean is ready for surfing, swimming , fishing ,snorkling are only few things you can do & lot more things to do. House Rules Apa Villa Thalpe takes special requests – add in the next step! All children under 16 years are charged USD 70 per night for extra beds. Any additional older children or adults are charged USD 90 per night for extra beds. Apa Villa Thalpe accepts these cards and reserves the right to temporarily hold an amount prior to arrival. Concerning finding a smashed glass by my bedside, which had been missed on the clean prior to our check in. Also, had a bit of a scare when we returned to the hotel at 10pm to find a sleeping security guard in our “private dining area” who was charging his phone. Great, having security but didn’t wake up until we were by his side opening our door so not much use if there was a security threat! Didn’t feel welcome at all times with the service. Some staff including the manager were excellent. Others not so much with regards to service. The Service was excellent and they managed a surprise for my boyfriends birthday! 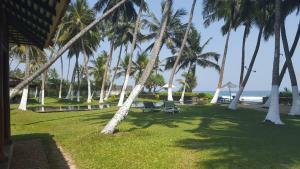 Very lovely hotel with perfect personnel and beautiful pool and nature around it. We were more than happy to stay there. En route to Apa Villa, our driver (who spoke little English) had a medical emergency and we were stranded in some town about 60km away from the property. Tried to call the property in hopes that they could help us arrange for transportation over, but that couldn't be done. Had hope that Apa Villa would've been able to provide us a better solution in this regards. In the end we had to seek help from one of our previous property who kindly helped us arrange it all. Such an amazing property to stay in - perfect to wind down after a hectic week of travelling. Rooms were very spacious and comfortable, definitely a luxury. We didn't leave the property - direct access to the beach (you can't swim in there because of the corals), you get a private butler at your service, free board games (we totally loved Monopoly), and peace & quiet. Especially loved the pool which overlooked the beach. We looked at a lot of places before choosing the Apa Villa. We were so pleased with our choice. Every meal is served at your own private dining table with a butler service. The staff are only too happy to help you out with anything, from advice on how much a TukTuk to Unawatuna or Galle should be, to letting us leave our luggage for the afternoon while we explored Galle after check out - and then letting us have a shower when we got back before our taxi to the airport. The food was spectacular. The pool is lovely too. Ideal for cooling off after using the sun loungers or hammocks. The rooms were large too. Everything was clean and worked just as we wanted. It was great to relax within an easy drive of busier places but feel wonderfully isolated too. Thank you. There were some rats making noises in the roof at night and a reptile had made a visit for its' meal. didn't realize until later that is was in the washroom the whole time. but to be fair it was beyond the property's control and they did the needful to get rid of it immediately. so this could be a one-off thing! It was a clean, quiet, spacious and a well-maintained property! The pool was beautiful with a stunning view of the ocean. Comfortable beds and spacious room. We had a massage which was meant to come with a foot bath as advertised but didn’t and also was nearly an hour late. I believe the hotel have external people who come in to do the massage- massage was average. But wouldn’t say this is the fault of the hotel. Also be aware of the tuk tuk drivers outside, they see it’s a nice hotel and try to over charge for all journeys, we usually had to split what they said in half if we weren’t getting the bus into Galle (which was very easy and I would recommend). Again not a fault of the hotel but just a warning to other travellers. Beautiful setting. We had a suite which was lovely. Food was really good staff were all very nice. Very friendly & helpfull staff. Nice big rooms. Very clean!